A person worthy of being called heroic embodies determination, discipline, teamwork, and sacrifices his or her wants and needs for the sake of others. 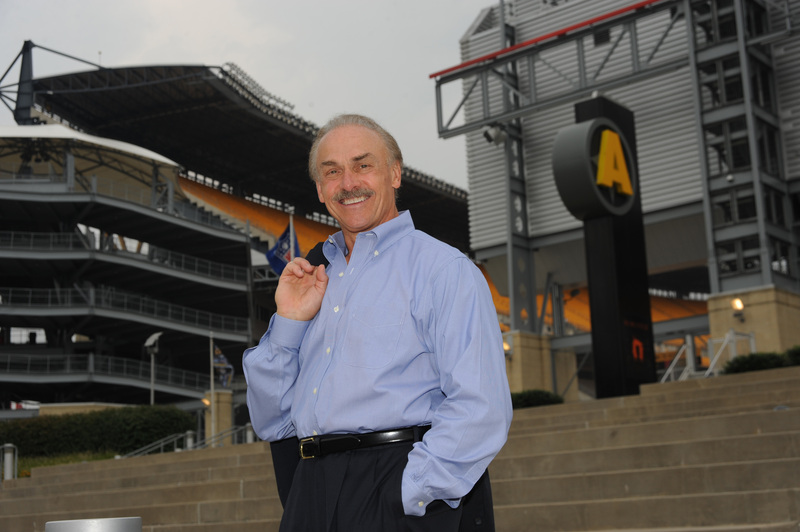 Few personify that word better than Rocky Bleier. 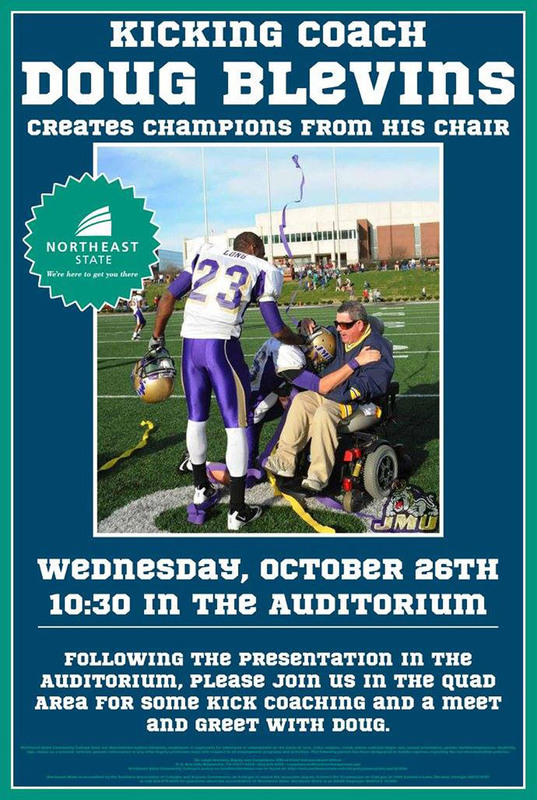 Northeast State proudly welcomes the Pittsburgh Steelers legend and Vietnam Veteran to campus on Nov. 10 for a presentation about service and winning against impossible odds. Bleier’s presentation begins at 10:30 a.m. at the Wellmont Regional Center for the Performing Arts Theater on the Blountville campus next to Tri-Cities Regional Airport. Admission to the event is free and open to the public. In a captivating presentation, Robert Patrick “Rocky” Bleier defines what it takes to succeed in times of change, conquer insurmountable odds, and become an extraordinary achiever. Through his story of courage and determination, he motivates audiences to reach for their goals, despite all obstacles. A native of Appleton, Wis., Bleier starred at football in high school and earned a scholarship to the prestigious University of Notre Dame. 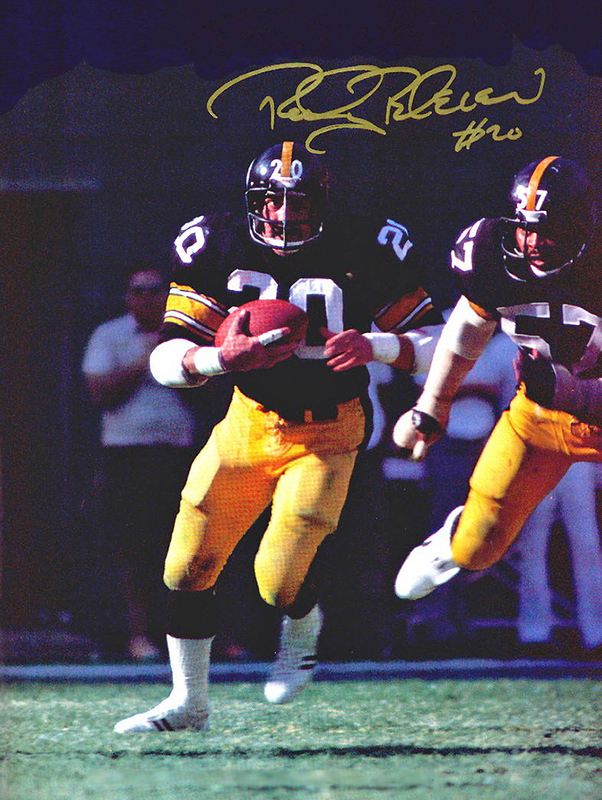 When he graduated from college in 1968, he found himself selected in two drafts – one by the Steelers of the National Football League and one by the United States Army. At the height of the Vietnam War, Bleier was thrust into combat and was seriously wounded when his platoon ran into an ambush. Receiving wounds from both rifle fire and grenade fragments in his legs, Bleier’s injuries were severe. Doctors told him his professional football career was over and he would likely never walk again. Defeating all odds, Bleier spent two years rehabilitating his body and regained his running back position on the Steelers’ squad. He became a cornerstone of the team that would win four Super Bowls during the 1970s. The hard lessons Bleier learned early in life that helped him overcome adversity and reach his goals have paid off after football. Some of those lessons are described in the popular book on his life, Fighting Back, and most recently a stage production called The Play with Rocky Bleier. Bleier was the recipient of the 2015 Eagle Rare Life Heroism Award for his incredible drive and inspirational story. He remains active in numerous social and veteran’s causes including Operation Strong Vet, Warriors2Citizens, and Vietnam Veterans of America. He co-owns and serves as a managing member of RBVetCo, a service-disabled, veteran-owned company specializing in construction and value engineering. For more information about this event, contact the Office of Veterans Affairs at 423.354.2528 or jmadcox@northeaststate.edu. Northeast State will host former NFL kicking coach Doug Blevins on Oct. 26, at the Blountville campus. Blevins’ appearance highlights the College’s celebration of National Disability Awareness Week with a series of events from Oct. 24-28. He will lecture in the Auditorium (A202) at 10:30 a.m.
An Abingdon, Va., native, Blevins refused to let a physical disability stand in the way of his dream to coach in the NFL. Afflicted with a mild form of cerebral palsy and unable to walk, Blevins fell in love with the sport and was determined to forge a career in football. He has taught the art of kicking at the high school, college and professional levels for more than 25 years. A graduate of East Tennessee State University, Blevins started his coaching career as a student assistant while at the University of Tennessee under the legendary coach Johnny Majors. He spent two years in Knoxville before being named kicking coach at Emory and Henry College. Blevins went on to serve as kicking coordinator for the World League of American Football from 1995-1997. He was kicking coach for the Miami Dolphins from 1997-2003. He also did consulting work with the New York Jets and the New England Patriots where a free agent named Adam Vinateri had just been signed. A Blevins disciple, Vinateri ranks as one of the greatest kickers in NFL history winning two Super Bowls for the Patriots with field goals. Fellow NFL kickers David Akers and Justin Tucker among many others have studied under the tutelage of Blevins. October is National Disability Awareness Month. The month was designated by Congress as a time to increase public awareness of the contributions and skills of people with disabilities. For more information, contact the CSD at 423.279.7640 or 423.354.2476. Northeast State commemorates Disability Awareness Week Oct. 24-28 focusing on individuals who have battled and triumphed over disabilities. The Northeast State Center for Students with Disabilities is sponsoring a weeklong series of events where students and guests will discuss how they overcame challenges associated with their disabilities. The week’s keynote speaker Doug Blevins, former NFL kicking coach and placekicking guru, will share his story on Oct. 26 at 10:30 a.m. in the Auditorium (A202) at the Blountville campus. A student panel discussion entitled, “In Our Shoes” brings together Northeast State students and faculty to discuss their own challenges with the disabilities that changed their lives and how they learned to manage them. This event begins at 10:30 a.m. on Oct. 25 in the Auditorium. 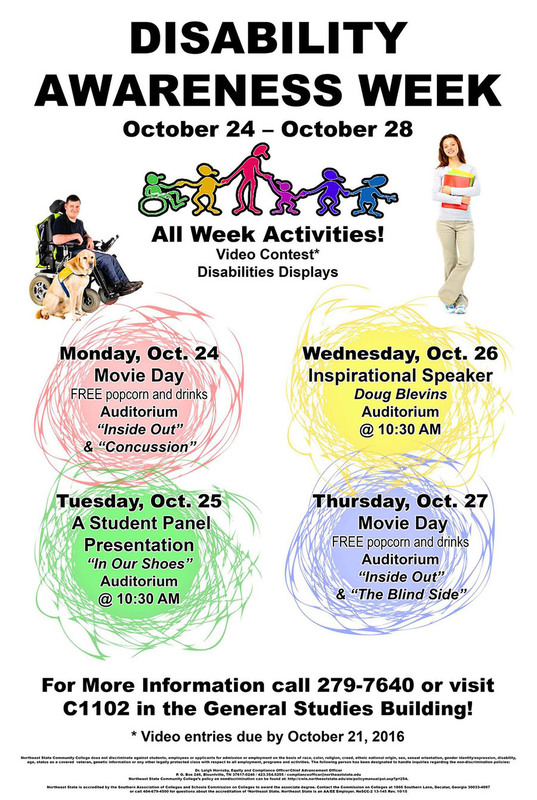 The week opens with Movie Day on Oct. 24 and features screenings of the films “Inside Out” and “Concussion.” The week closes on Oct. 27 with the screenings of the films “Inside Out,” and “The Blind Side.” All films will be screened in the Auditorium and include free popcorn and drinks. Step back in time to the age of the big bands when the Johnson City Community Concert Band takes the stage for a free concert at Northeast State Community College on Monday, Oct. 24. Conducted by Dr. Christian Zembower, the band will present “War Horses” featuring time-honored wind band classics. The performance will be held in the Wellmont Regional Center for the Performing Arts Theater located on the Blountville campus next to Tri-Cities Regional Airport. The performance begins at 7:00 p.m. Doors open at 6:30 p.m. The performance continues the celebration of Northeast State’s 50th Anniversary. Admission is free and open to the public. The Johnson City Community Band, here playing in the Amphitheater at the Blountville campus, performs at Northeast State Oct. 24. 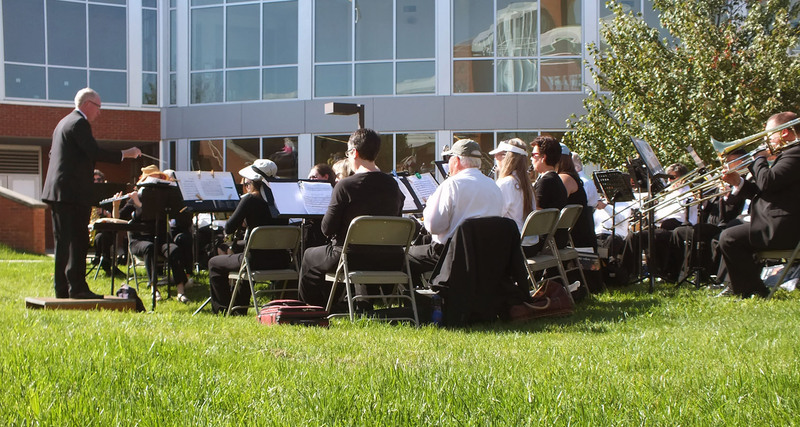 Founded in 1983 by faculty members from East Tennessee State University, the Johnson City Community Band is made up of more than 50 members and associate members who have diverse backgrounds in music. Over the years the band has had several directors, assistant directors and has rehearsed in several locations in the Johnson City area. One thing remains the same – the band has grown and improved each year in the quality of members and quality of performances. Dr. Zembower is Director of Bands and associate professor of Music at East Tennessee State University. The Johnson City Community Concert Band is an all-volunteer, non-profit, concert band whose members are from all over the region. Band members range from professional band directors to music professionals of all ages that want to continue the joy of playing music and performing. The band also features several associate members who taken up playing challenging music. Northeast State has received the annual merit award from the National Board of Surgical Technology and Surgical Assisting for achieving a 100 percent pass rate on the Certified Surgical Technologist (CST) examination. 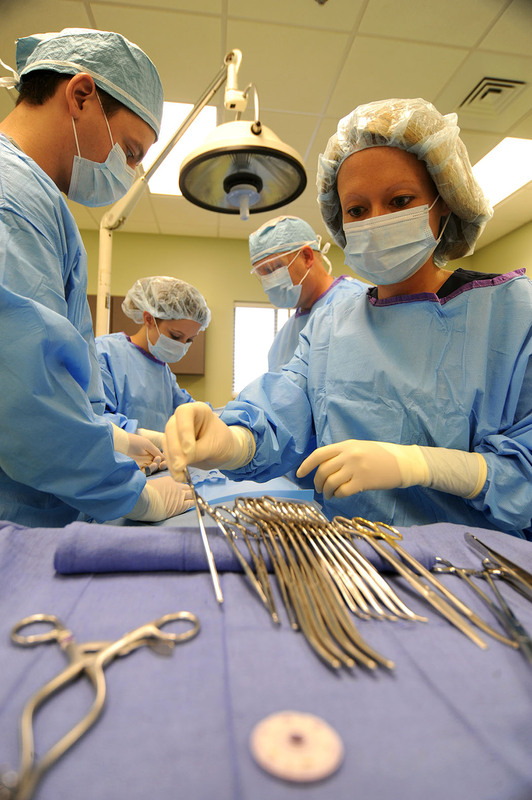 Surgical Technology students posted a 100 percent pass rate on the Certified Surgical Technologist exam. Graduates obtaining national certification as a CST demonstrate, by examination, understanding of the basic competencies for safe patient care in the operating room. The exam period extended from Aug. 1, 2015 through July 31, 2016. The CST is widely recognized in the health care community as the foremost credential for surgical technologists in the nation. It is required for employment within many local, state and national health care organizations. The CST examination is a fully accredited examination by the National Commission for Certifying Agencies (NCCA) for surgical technologists. NCCA accreditation assures the CST examination meets stringent standards of examination development and administration.